You are here: Home / Blezard, Sharron / Wait Wait…Please tell me! 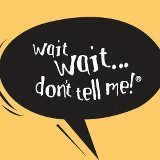 One of my favorite radio shows is NPR’s Wait Wait…Don’t Tell Me! Host Peter Sagal, scorekeeper Carl Kasell, and a panel of three journalists, humorists, or comedians lead listeners on a rousing romp through news and events of the week. A recurring series of themed games with the panelists and telephone contestants provides a humorous take on recent news. If you’ve never listened in, give it shot. It can be pretty addictive. Wondering what an NPR news/entertainment show has to do with Advent? Frankly not a lot, at least in a direct sense, but perhaps we can apply a few of the techniques from the show and tweak the name a bit to help inform our time together during this most misunderstood and underappreciated church season. One of the things Sagal and Kasell do so well is delivering consistent and creative content; the show is engaging, challenging, and delightfully surprising. 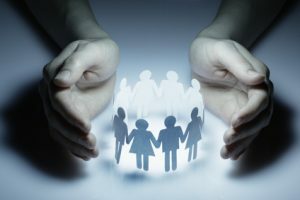 Why can’t our time together as the people of God be just the same? After all, the gospel is engaging, challenging, and surprising when we explore it fully and truthfully. Plus, a joy, humor, and enthusiasm never hurt anybody–especially when it involves worshiping and serving the Creator of the Universe. We can “borrow” another idea from the show’s name. Waiting is a key Advent theme, as is anticipation. Instead of not telling and guessing, however, we do need to tell one another why Advent is so important to the life of believers and how this season informs our faith and our actions. Instead of letting culture define this season’s message (i.e. buy, buy, buy and spend, spend, spend), we can offer a powerful alternative in the story of Jesus. Christianity’s emphasis on worshiping, serving, loving, and giving provides an antidote to the stress and overindulgence that is constantly foisted upon us. We need this precious time of waiting, anticipating, and preparing to once again open our hearts, minds, and lives to God incarnate and to the alternative, countercultural message of the gospel. The Revised Common Lectionary’s emphasis on Luke’s account for the new church year affords the perfect opportunity to discuss power, money, and the forces of empire in contrast to Jesus’ message of how the disciple should spend his or her time, resources, and energy. 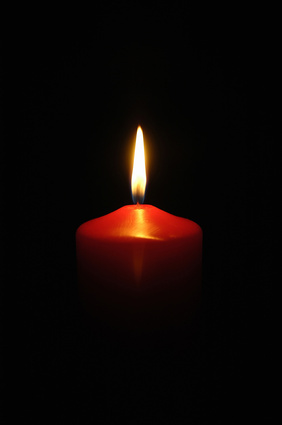 The long and short of it is this: Advent is here, so wait wait…but do tell. Tell the story. Offer the alternative in love. People need and want to hear it. Why not do something visual with the reading from Jeremiah to illustrate Signs of the Times? If you have the technology, you could create a PowerPoint reflection to use during the service, or if not you would create an “Advent Stations to the Manger” display along the sanctuary wall, in the narthex, or in a hallway that sees frequent use. Contrast a sign of the time that conjures up anxiety and fear (war, natural disaster, poverty, etc.) with a sign of God’s action in the world. Use verses from this week’s readings along with brief text to make the point that even as we wait in troubled times, God is still at work in the world–with us, through us, and sometimes in spite of us. Consider building on this display through all four weeks of Advent. If done well, it could provide a powerful and meditative worship experience for your community. Why not have an “Add-vent” party with youth today? If you have a regularly scheduled youth meeting, consider creating an “Add-vent Tree” for the congregation. This can be a fun, hands-on art project that involves either creating a tree with bare branches on a large sheet of butcher paper or poster board or finding a large real, dead or dormant tree to use. Another alternative is a live potted evergreen that could later be planted on church property. Each day you will add a “leaf” or “ornament” that in some way gives thanks for something in the congregation or represents something each youth (or the entire group) will “do” to serve or give back to the congregation or community. Use the epistle lesson from 1 Thessalonians 3:9-13 as a banner or header for this project, particularly verse 9. This is a good way to reinforce the idea that we are wired to give more so than to receive and in giving we also invariably get more in return than we can imagine. This week’s gospel (Luke 21:25-36) provides a good opportunity to talk with children about watching, waiting, and being alert. Involve as many of the senses as possible in your time. Children experience high anticipation when it comes to waiting for good things (e.g. Christmas, vacations, birthdays, visitors). Talk to them about what it’s like to wait for something really, really wonderful and how it feels to do so. How do they watch, for example, for a guest to arrive? Do they wait by the window? Do they check the clock? Do they ask their parents? Remember Bart and Lisa Simpson asking Homer and Marge “Are we there yet? Are we there yet?” Remind them that Jesus is coming, but not just yet. If possible, give each child a small Advent calendar to help them watch, wait, and be alert for signs of God in the world each day. Filed Under: Blezard, Sharron, Lectionary Reflections, Preach, Year B Tagged With: 1 Thessalonians 3:9-13, Advent One Year C, community, congregation, discipleship, Jeremiah 33:14-16, lectionary reflection, lifestyle, Luke 21:25-36, preaching, stewardship, values, Wait Wait...Don't Tell Me!